Can you believe this is the first full week of December? Eek! We’re trying to soak it all in and bet you are, too. Today we’ve got a giveaway to a super FUN show at Walton Arts Center. 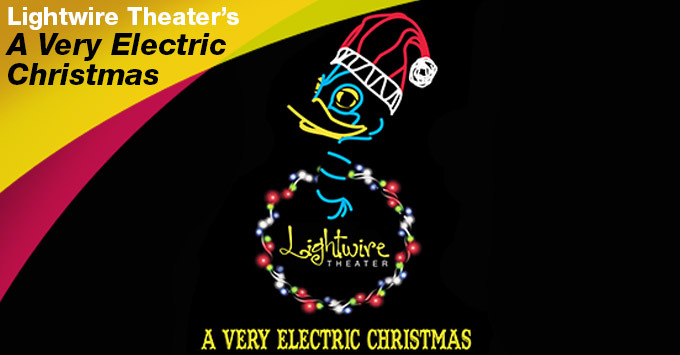 One mama will win 4 tickets to the Dec. 23 performance of A Very Electric Christmas. A VERY ELECTRIC CHRISTMAS 2015 PROMO V2 from Mendelson Entertainment Group on Vimeo. 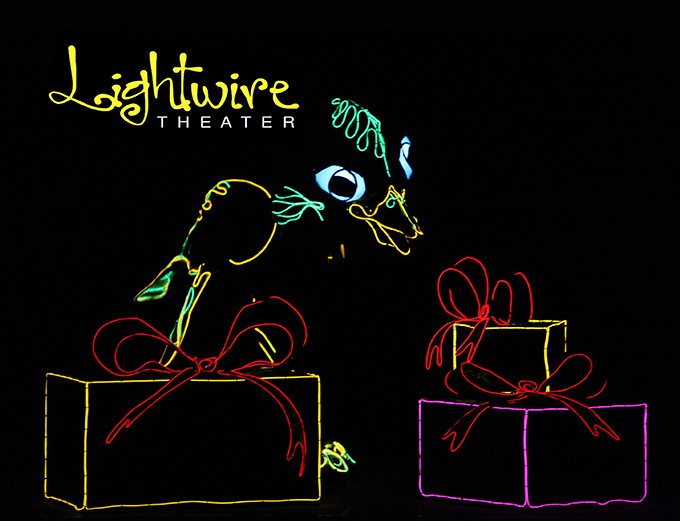 ABOUT THE SHOW: Brighten up your holidays with a dazzling tale of family, friendship and hope! 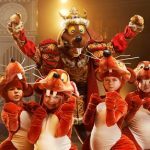 Friendly caroling worms, dancing candy-canes, Nutcracker soldiers, an evil Rat King and other glow-in-the-dark creatures light up before your eyes, incorporating classic holiday stories and non-traditional flourishes set to timeless holiday hits by Nat King Cole, Mariah Carey, Tchaikovsky and more. 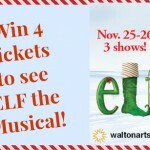 HOW TO ENTER: If you’d love to win these tickets to see A Very Electric Christmas at Walton Arts Center, click on the word “comments” (right under the headline of this post) and scroll down to the bottom of the comments posted by other moms. Then write a quick comment telling us how you’re savoring the season this month. Do you sit in front of the Christmas tree and read before bed? (That’s Shannon’s favorite!) Do you take time off work? Do you just try to be more intentional? We can’t wait to hear what everyone has to say. Maybe we’ll inspire each other? We’ll choose the winner on Friday! 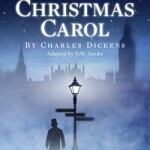 If you want to go ahead and grab tickets to this show, CLICK HERE to visit the Walton Arts Center page with more details and ticket prices. I savor the season by spending as much time with family and friends as possible. We love reading different versions of the Christmas story, and discussing it as a family. We also gather our gently used but too-small kids clothes and toys no longer played with to donate to those less fortunate. I love to have the Christmas tree lights on-especially early in the morning when the house is still dark. I also spend time doing a daily Advent devotional, and I love wrapping all the presents with my husband in the week or so before the big day. I also enjoy buying all the little stocking stuffers for my kids. So many great traditions and memories!! I am trying to slow down and enjoy the little moments this holiday season. Elf on the shelf is one of our favorite ways to savor the season! I savor the season by taking my daughter around the city and showing her as many Christmas lights as possible. It’s a special time of year, and being a single mommy takes its toll but I am planning on giving my toddler the best Christmas yet! Christmas is just an wonderful time of the year for us.. Our main focus is Jesus’ birth, but we bring Santa and our elf into the mix, too! We go to church together each Sunday. Our elf does mischievous things throughout the month, and we try to do as many local community events as possible (Lights of the Ozarks, Christmas and caroling on the Creek, Festival of Trees, ice skating in Bentonville, etc)! Lots of hot chocolate and Christmas movies! We are savoring the Christmas season by trying to watch a lot of Christmas movies and do a lot of fun Christmas activities. This would be perfect to add to our list! And I”m savoring it, by sitting in front of the tree with just the glow of the Christmas lights … favorite thing ever! We are so busy during this time of the year with my son’s birthday being in December and the holidays, but we love it! My favorite part of this year is spending that extra time with family and friends. I love having my house all decorated for the holidays! We read certain books during the month of December, always go look at Christmas lights as a family and drink hot chocolate in our pjs! I am trying to be very intentional about the activities we do! We are trying to combine some new traditions with old ones! For example, trying new sugar cookies recipes and how the tree is decorating. It has been fun and the kids love it! I savor the holidays with family around, gathering in the kitchen, baking together and remembering that it’s the birthday of my Savior, Jesus Christ. I would love to win this for my grandson who has had a long year of illness. He deserves to do something fun. Hot chocolate and lights on the tree before bed. Lots of bubble baths and stopping to enjoy as much as possible–so many things to be thankful for! Christmas movies with the family!! 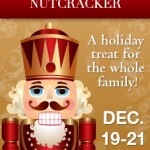 And getting shopping done early in order to have more stress-free family time!! I have always loved everything Christmas. We play Christmas music ALL the time. I savor the season by really taking time to try to slow down and enjoy the magic through my daughter’s eyes. She absolutely loves this time of year! Family is what it’s all about! I hope that the spirit of giving is taking place each and every day and not just the month of December. We are doing as many fun things as we can find. I bought an Elf on the Shelf for my kids at school and at home I like a cup of hot chocolate and a good book. I try to savor the holiday by spending quality time with my kids. Whether that is baking, playing video games, or playing with the toys they like. I just make time to do what they want me to do and what makes them happy. I bought an Elf on the Shelf for my class at school and at home I enjoy a cup of hot chocolate and a good book. We put on our Christmas pajamas and drive around town listening to Christmas music and looking at all the pretty light displays! I’m making a point to stay at home as much as possible! I take two weeks off work and enjoy the extra time with family. The holidays can be very easily lost as ‘the holidays’. I love to take advantage of items available throughout the entire month of December, like KLRC’s devotion to Christmas music, as subtle personal reminders (and hints to the kiddos) about what these days are truly about. God is so good, Y’all! And I can use all the reminding I can get sometimes to hold my tongue and keep only kind words being delivered, even to those I might prefer to talk more candidly to. 😉 Hug your kids a little harder this month. Read an extra line of passage. And for Heavens sake, take a day or two off of work. It’s been a year – you’ve earned it. I make as much time as I can to do extra fun stuff with my kiddos!! We went to Silver Dollar City to see the lights, and it was amazing! I am trying to be more intentional with everything I do…every present I wrap, decorating the tree with the kids, having fires in the fireplace. I also sit at night and enjoy the Christmas tree while I relax. I want to absorb every moment before we have to take it down. I also try to be intentional with my thoughts…purposefully thinking about gratitude and how much I love my family. Each day in December I find a way to “pay it forward” from paying for the person behind me in the McDonald’s drive thru, to calling someone just to chat, to taking a meal to someone who is home bound, to running errands for someone who is not able. It is such a blessing for me as well as the folks God puts in my path. I am savoring the season by turning on my Christmas tree first thing in the morning, before it is even light outside so I can appreciate the lights. It’s also the last thing I turn off at night so that I can enjoy it as long as possible. We are savoring the season by spending time together and making memories. We make new ornaments for the tree, have a cookie decotating contest and play lots of games together. I’ve learned to say no to more things so that I can say yes to the more memorable and important things. I love spending the extra time with my kids baking cookies, picking out gifts for loved ones, and sitting by the Christmas tree lights at night while curled up in front of the tv watching Christmas movies. I try to savor in the real meaning of Christmas and teach that to my children. We read the real Christmas story and I love to hear my children tell me the story. Such a special time of year! Sitting in the light of tree at the end of every day to have calm time with my daughter before she goes to bed in a nice way to end the day and be ‘in the season.’ Also, she loves looking at Christmas lights as we drive around town! I am savoring the season by continuing my work as advocate at a shelter where women and children in crisis are given a place to stay and work out some of life’s stuff. The Christmas trees are being put up and the house has been decorated. Soon we will decorate the “star tree” where the pictures of all the children who have stayed with us will be hung. It is a beautiful time of joy and blessing. Watching Hallmark Christmas movies with my daughter! We slow down and I try to say yes to only a few things instead of trying to do it all! I’m enjoying every second somebody give me of their time in this month. Time is very important in this season. So, is something we need to appreciate. I love to snuggle up with my kids and watch Christmas movies. Shyla, we just needed to approve your comment. Thank you!